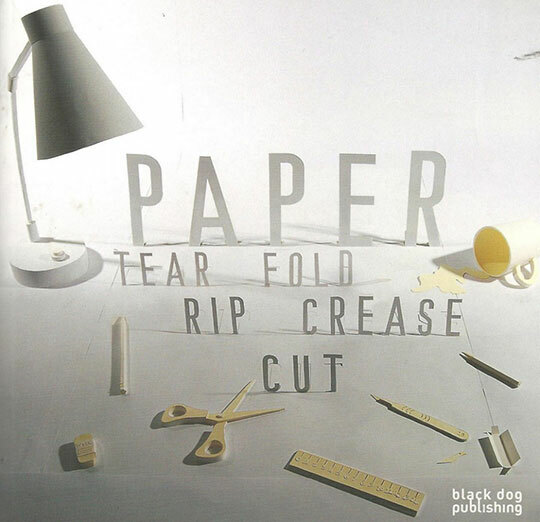 PAPER: Tear, Fold, Rip, Crease, Cut looks at the beautiful world of paper in art, fashion and design. From the traditional art of origami and paper cutting to contemporary experiments in conceptual paper installations and modular folding, PAPER celebrates one of the world’s oldest and most widely used materials in all its visual glory. The publication includes the work of Michael Cepress ‘Collars for the Modern Gentleman’, commissioned by Atopos cvc for the exhibition ‘RRRIPP!! Paper Fashion’. The work is reflective of Cepress’ fascination with menswear, and illustrates his inspiration from the traditional menswear tailoring and fashion’s relationship to gender and popular culture.